Feeding a variety of foods is both enriching, enjoyable and stimulating for your pet conure. Do not assume that your bird will choose the healthy alternatives usually as with people the opposite. Feed the first 5 food groups EVERY SINGLE day. It is possibly negligent to feed an almost exclusively seed diet!. Seed – limited to 1/3 of the diet - Sprouted seed is best. Vegetables – especially dark green e.g: peas, corn, chili, broccoli, capsicum, carrot, spinach. NO AVOCADO! Fresh grass especially the seed heads are enjoyed. A predominantly seed diet often results in a shorter life, less than ideal immunity and health, poor feathering, respiratory disease, fatty liver and diabetes. The best diet for a Conure includes pellets, fruit and vegetables and smaller amounts of nuts, seeds and cooked meat. Your conure will enjoy a bath! The personal hygiene of a conure often includes a morning bath to keep their plumage glossy and beautiful. Because of the conure's susceptibility to Conure Bleeding Syndrome (CBS), it is recommended that a conure's diet should contain foods high in calcium and Vitamin K.
Dairy sparingly, as a treat, or sharing. Boiled meat (yes, even poultry!) sparingly, for a protein supplement. So in summary : Your conure will need fresh unprocessed food—mixed fruits, ark green and yellow vegetables, cooked grains and beans, and healthy human food—two times a day. Have pellets available all day. A small amount of seeds and nuts once a day. Fresh, clean water must be available at all times. Conures can be messy eaters, so be prepared to clean the water bowl, cage, and surrounding area regularly. Conure Bitten on the beak - after cleaning the scabs and placing a composite - this bird made a full recovery. Conure -vet Beak repair. This conure had an injuty to the upper beak early in life - and needs beak ortyhodontics. The conure beak has been trimmed - Beak trim. 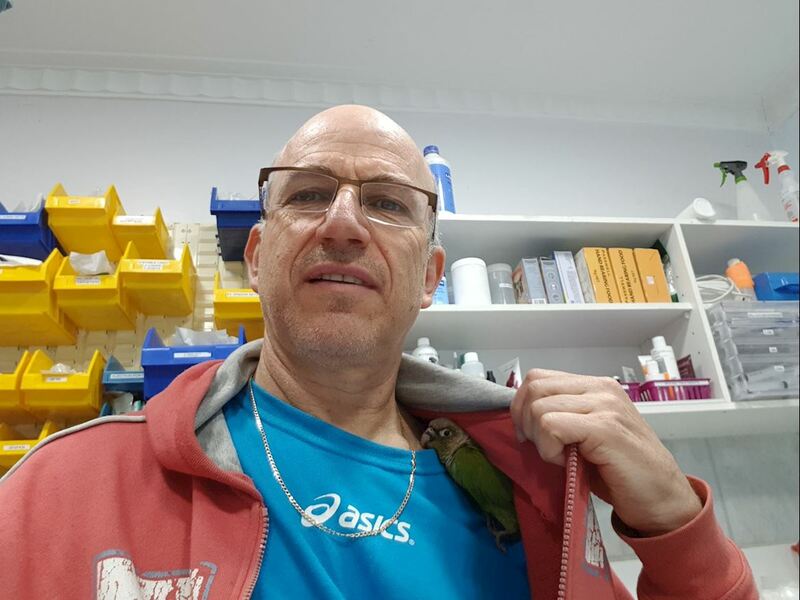 Dr Phil WIth Percy - "An after hours cuddle at the clinic." 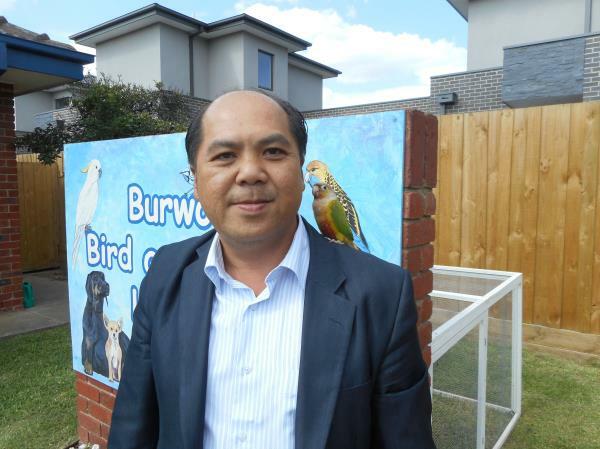 At Bird Vet Melbourne we focus on more that just the medical and surgical therapy- we focus on the other things as well.